Posted by FormSmarts on Jul 8, 2009 at 9:46 am in form builder. How many form submissions / how much storage will be allowed for each account? Will we be able to purchase additional storage? We would like to join beta testers. Each account will have a storage allowance, and you’ll be able to purchase more storage if needed. You’ll also be able to have stored submissions automatically deleted after 30 days. We’ll publish details in due course. Thanks Mark and the Team at Syronex. Implemented Web Forms to Excel feature and it works fine. Looking forward to Text Blocks in Forms. 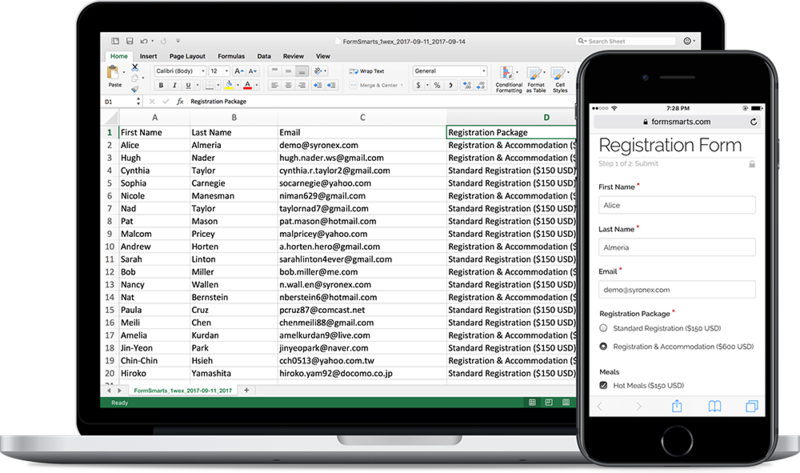 Now that I can download form data from FormSmarts is Excel format, how can I stop receiving forms by email? To stop receiving forms by email, simply log in to your account and uncheck all email subscribers (in the form details screen). I activated my web forms submission to excel. Any chance it could be operational soon? Is there a limit to how many form responses can be stored? 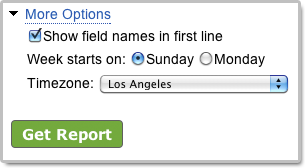 You should be able to use our Form to Excel feature by now. Activation currently takes up to a few hours. You’ll be able to activated form storage instantly for each form in the Form Details screen of your account starting with out next release. There is no limitation in the number of form responses you can store at this time (subject to fair usage policy). Is there an option to schedule weekly excel reports to an email address? If not this would be really useful! Is it possible to clear the database of form submissions? I did a lot of test registrations on my first form, to nudge the whole process, and now I’d like to purge them and start anew. Should I just clone the form? You can’t delete form data at this time. You should indeed just clone the form. Although I receive the submissions to my email and much of the entries are in Arabic they entries appear as funny characters when I generate an excel output using the excel generator tool. Excel reports are encoded with the Unicode (UTF-8) character encoding, which supports character sets used in all languages. I suspect that when you open a report, Excel uses the default Windows encoding set in your computer to decode the data instead of UTF-8. As a result, the characters shown in the report are be incorrect. After downloading a report from FormSmarts, there should be an option in the Excel window to set the character encoding for opening the document. You should also be able to change the encoding of the Excel spreadsheet before saving it to your computer in the Save As window. Can limited authorization be granted to an additional person so form data can be downloaded? The current version of FormSmarts doesn’t allow this, however starting with version 3 (due in a few months) Business Plus and Max accounts will become multi-user. The account administrator will then be able to grand limited privileges (such as the ability to view reports) to a sub-user.